If you have ever ta ken an online course, you know how cumbersome they can be. Usually it just involves watching some video clips, or reading text (sometimes with pictures) and possibly taking a quiz. At best, it’s a one-way introduction to a topic; at worst, it’s a nightmare that never seems to end, as the progress bar slowly moves along. The Boy Scouts of America has tried to fix some of this with the rollout of the new online training system. Called ScoutingU,1 it incorporates not only training but requirement tracking into the new my.scouting.org portal, which will eventually be the hub to manage all your interactions with the Scouting data system. You’re most likely familiar with the legacy MyScouting Tools website, myscouting.scouting.org, if you have taken Youth Protection Training. So how does my.scouting.org differ? The new system, a little over a year old, is built using modern web tools2 so it is not only extensible and flexible for the developers but easy to use for the end user. More importantly, the aim of my.scouting is to consolidate all online functions under a single portal, including personal and unit membership management, online rechartering and advancement, training, commissioner tools and more. Each registered individual has a profile which grants access to the tools that he or she needs and is authorized to use. And, if you already have a login on the legacy myscouting.scouting.org, the same user name and password should work on my.scouting.org. So how does the ScoutingU training system differ, and how does it stack up? Early online training courses basically consisted of the training syllabus and videos converted to a web format. They didn’t lend themselves very well to e-learning, and were a poor substitute for in-person training. The new system is much more like the way corporate training and university online courses are run. Short segments, containing a few minutes worth of information, are spiced up with interactive elements beckoning the user to click for a demonstration, a short video clip, or participatory activity. At the end of each segment, a brief quiz lets the user review the content and assess how well it was absorbed. 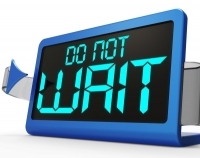 At any point, the user can exit the program and come back when it’s convenient to do so – no longer tied to the computer until the entire session is finished. Upon completion of all elements, the leader is recorded in the database as having completed that particular course. The Cub Scout leader training has been revised and is available now, and the Boy Scout training will be updated next year when that program undergoes some changes. I noticed, however, that the Cub material is still using the Cub Scout Promise and Law of the Pack, which were retired and replaced with the Scout Oath and Scout Law on June 1st. This oversight will undoubtedly be cleaned up in short order. The rest of the information is presented in a clear manner with both spoken and graphical elements that support and augment one another. 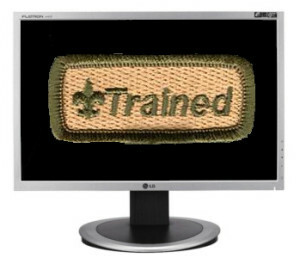 Next time you have a few minutes, take the my.scouting training pages for a spin. Pick a new course to take, or retake one you’ve already done. Check to make sure the courses you’ve completed are credited, especially the ones taken in person. If you notice any discrepancies, your unit commissioner can help correct the records. Next PostNext Values taught here. Helmets not required.